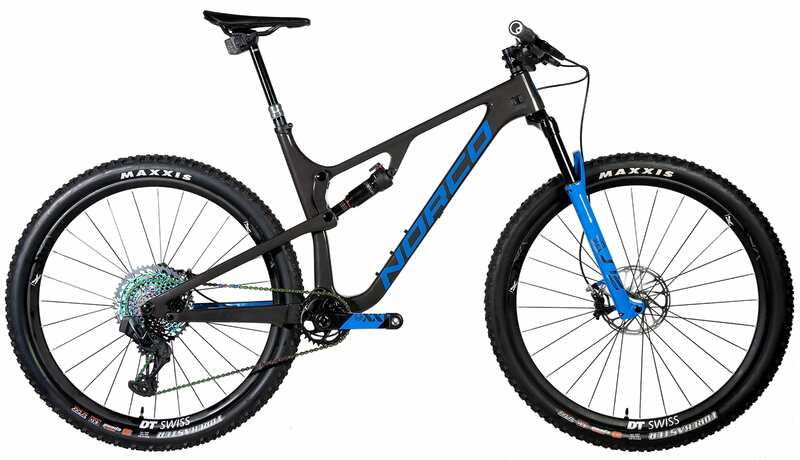 The existing Revolver is Norco’s 100mm travel full suspension XC mountain bike. For 2020, the Revolver receives a significant update that sees it splitting into two distinct platforms; the Revolver 100 & Revolver 120. 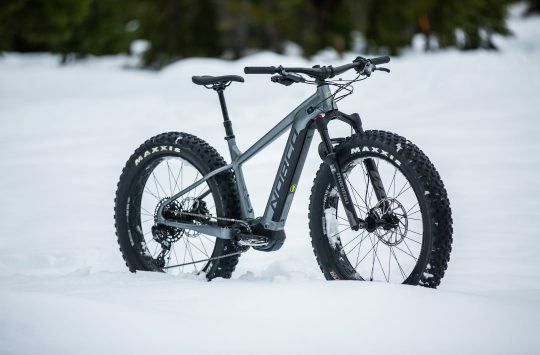 The Revolver 100 remains as the flagship race bike, with 29in wheels, 100mm of travel front and rear, and a focus on lightweight components that includes fast-rolling 2.25in wide Maxxis tyres. For the multi-day race crowd, or those who just want a really lightweight and fast trail bike, the Revolver 120 steps up the travel to 120mm front and rear, while adding in a dropper post and wider 2.35in wide tyres. 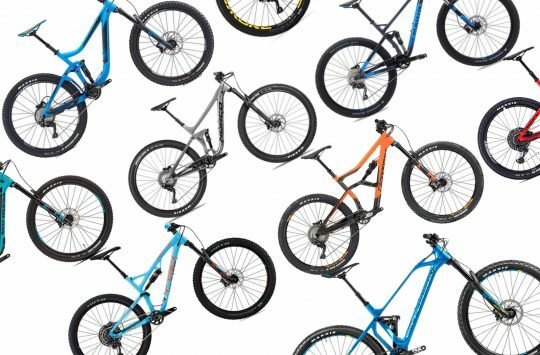 The Revolver 100 might look similar, but it’s all new for 2020. Here’s where it gets interesting – the frame itself is actually the same between the two bikes. In fact, even the 190mm eye-to-eye length of the shock is also the same. 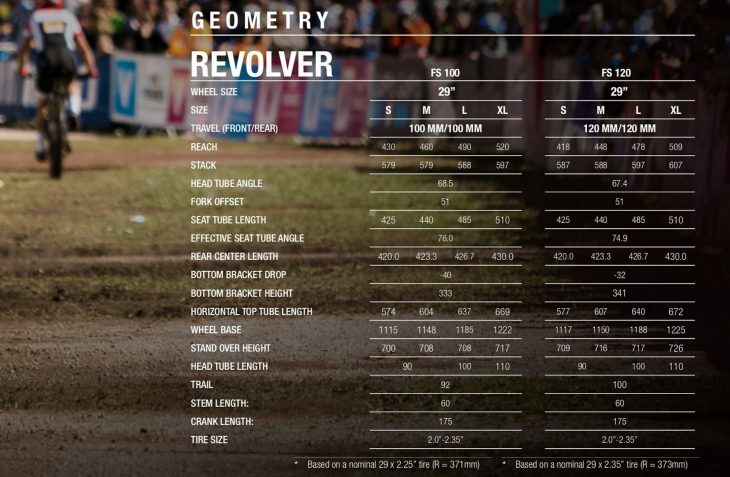 Thanks to the clever use of metric shocks though, the rear shock on the Revolver 120 has a longer stroke (45mm instead of 37.5mm), which helps to eke out another 20mm of travel at the rear wheel. Along with the longer fork, everything kicks back a bit to make it a more suitable choice for multi-day stage races like the Cape Epic. Prefer pleasure over pain? The longer travel Revolver 120 might be the better pick for you. 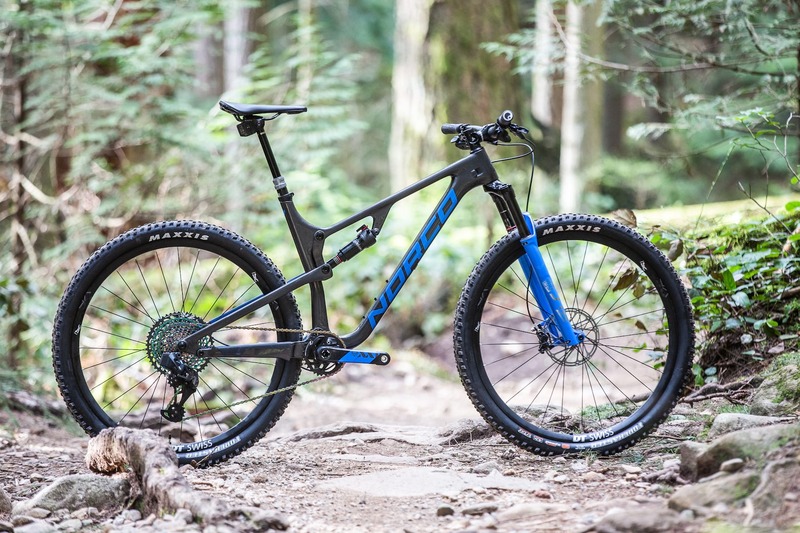 Though you might not notice at first glance, the frame is actually all new for 2020. It’s made from high modulus carbon fibre, and Norco says it’s boosted ‘axial rigidity’ by 40% by beefing up the downtube, BB area and chainstays. Internal cable routing has also been reworked to be more like what you’ll find on the Range and Sight carbon frames. 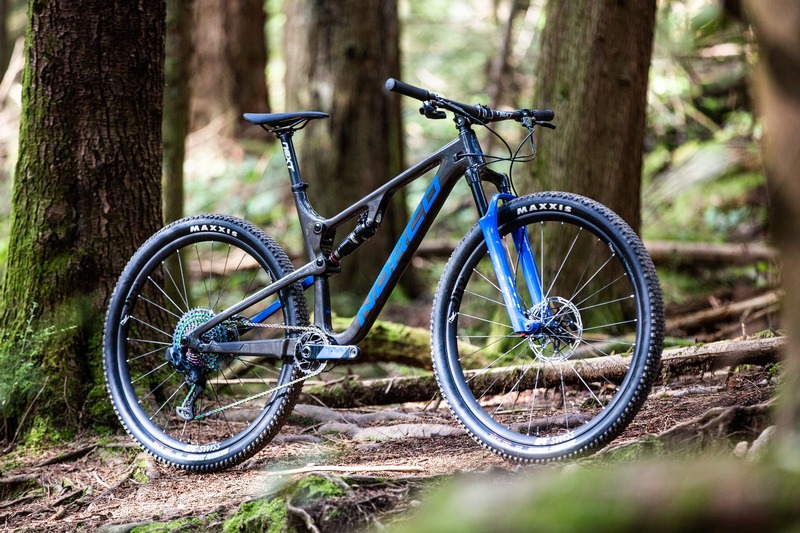 Weight for a Medium frame with the shock is an impressive 2150g. That’s actually the same as the previous generation frame, but the 2020 model does have a heavier shock – about 95g heavier according to Norco – which means the bare frame has actually gotten a little lighter. So a touch lighter even with the new frame being stiffer overall. Those are some progressive numbers for an XC bike! There will be four frame sizes in the new Revolver platform, ranging from Small through to X-Large. For the Revolver 100, Norco has set the head and seat angles at 68.5° and 76° respectively, while the reach measurements across the board are very long for an XC whip. The Medium frame is 460mm, the Large is 490mm, and the XL goes to a whopping 520mm! Those top tube lengths are longer than many other brands’ enduro bikes, let alone an XC race bike. Just look at the photo and see how far away the front hub is from the BB. 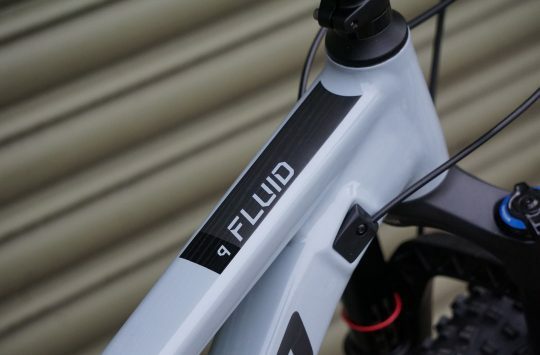 The steep seat tube angle will help to bring the saddle closer to the head tube though, while a short 60mm stem (for all sizes), brings the bars in closer too. Look how bloody long that thing is! Because the 120mm Revolver has the same frame, head tube lengths and chainstay lengths obviously remain the same, but with the longer travel fork, the angles do kick back to 67.4° and 74.9°. The BB also lifts a touch, as does the stack height for each frame size. 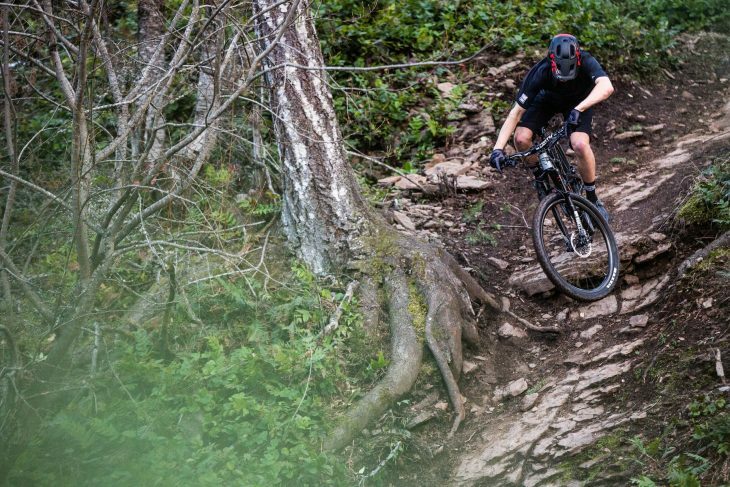 Combined with the addition of a dropper post, wider tyres and more powerful 4-piston brakes, and the Revolver 120 looks to be the more practical and fun-loving XC bike that most riders want. The lightest and blingiest of the lot; the AXS-equipped Revolver 100. Less bells but just as many whistles on the Revolver 1 FS 100. Norco is spec’ing the wireless AXS drivetrain and Reverb dropper post on the flagship Revolver 120. For a lot less money, you can get exactly the same frame and 120mm suspension platform with the Revolver 1 FS 120. And the entry-level Revolver 2 FS 120 makes a smart component choices to bring the price down, while keeping the premium carbon frameset. 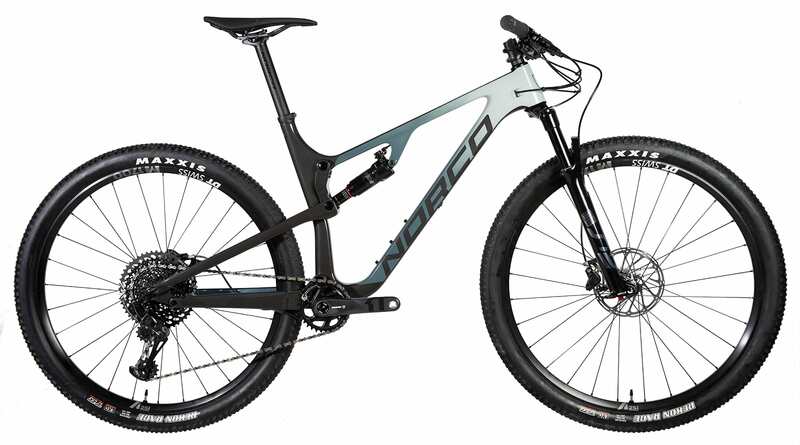 For more information on the new Revolver range, head to the Norco Bikes website.